What book from your childhood still has a place in your heart? 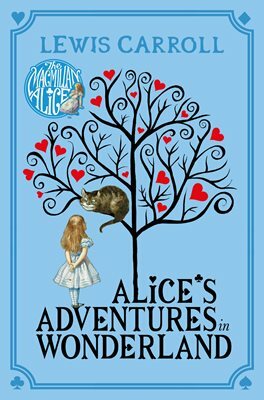 ‘Alice in Wonderland’ fascinated me and to be honest frightened me a little. Falling down the rabbit hole and all that ‘Drink Me’ and ‘Eat Me’, shrinking and growing, not to mention the queen and ‘Off with her head’ threats. I first read ‘Jane Eyre’ in my teens and I can remember being totally absorbed by it. The injustice of her early life angered me, but she was so strong and never gave up. It was one of the first romance stories I read. Can you tell us a little about your journey with your new book? My previous three books were set in WW2 Belfast where I grew up, but I decided to set the new book ‘The Girl in the Pink Raincoat’ in WW2 Manchester where I have lived for most of my adult life. The cities are similar in that both were crucial to the war effort and suffered in the blitz. Gracie, the main character came to me fully-formed: a factory girl, full of fun, and a born story-teller. As the book goes on, her strength, resilience and courage is tested. In creating the characters of the three men she encounters, I wanted to make them complex individuals. Indeed, there were times when neither Gracie nor I could determine whether or not to trust them. Can you please share a photo with me that tells a story? I enjoy researching a new book, especially when I come across something so surprising that it immediately shapes the story I want to write. It happened with ‘The Girl in the Pink Raincoat’ when I found an account about enemy aliens, mainly German and Italians, being interned. An even bigger surprise was that fact that the internment camp, in a disused cotton mill, was five minutes’ drive from where I live. 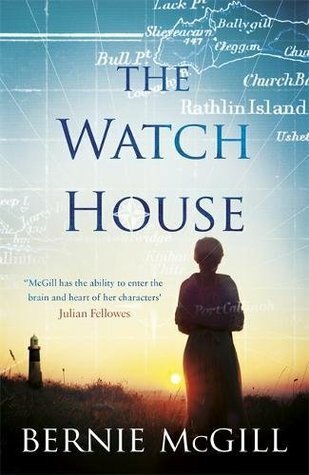 I loved The Watch House by Bernie McGill, set on a remote island in the north of Ireland in the dying years of the nineteenth century. It tells the story of a young married woman who becomes involved with the Marconi engineers sent to conduct experiments in the use of wireless technology. It’s beautifully written and blends romance with historical events. It would have to be a romantic song, maybe expressing separation and longing to be together. Gracie dances with Jacob for the first time to the song, ‘Dream a Little Dream of Me’ so that would be a good choice. Is the genre you write your favourite read? I read a range of genres, as long as they are well written, with interesting plots and complex characters. If you could ask your readers anything what would you want to know? My first books were a trilogy following one family right through the war. I’m now writing standalone books set in WW2. Which do you prefer? I’m working on another WW2 family saga/historical romance set in Manchester. It focuses on a young married woman who has led a sheltered life, but when her husband is killed in the blitz she has to face both grief and the need to earn her living. Circumstances lead her to join the police where she comes into contact with the harsh reality of life for women and her own longing to fall in love again.